CCP Interactive ready-made digital lesson plans help bring the classroom into the 21st century. With interactive content, students become more engaged in the lesson, increasing comprehension and test scores. Teachers can choose from our selection of ready-made digital lesson plans for a complete curriculum-based resource. Or, create custom lesson plans with our selection of minis, including full chapters, games, or puzzles. Get started with these free samples. 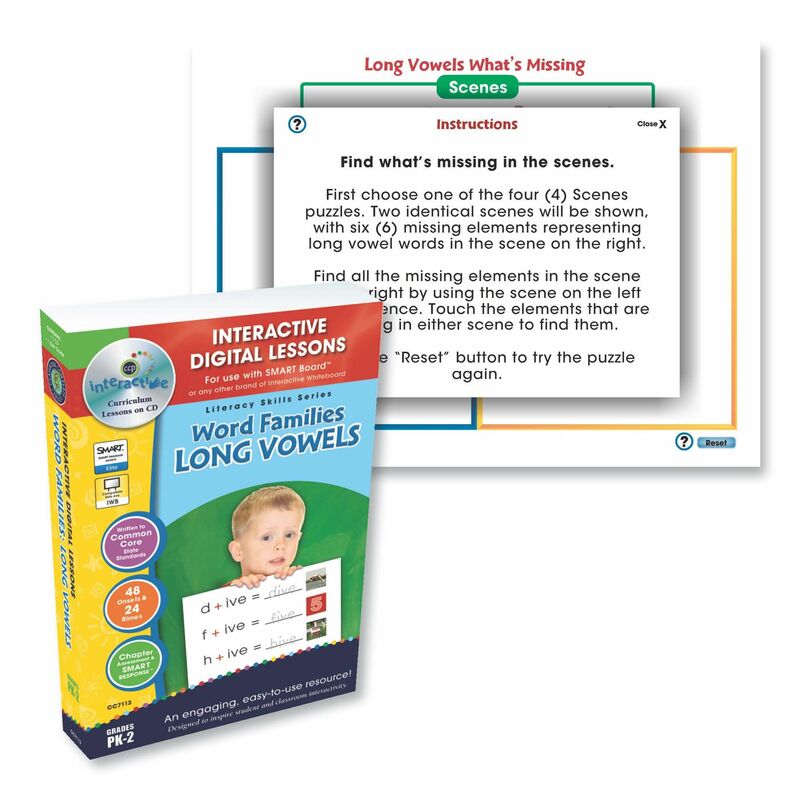 Become familiar with key long vowel words with an interactive activity. Find what's missing in the provided scenes. Get your free samples for MAC. Get your free samples for PC. See more from this lesson plan. 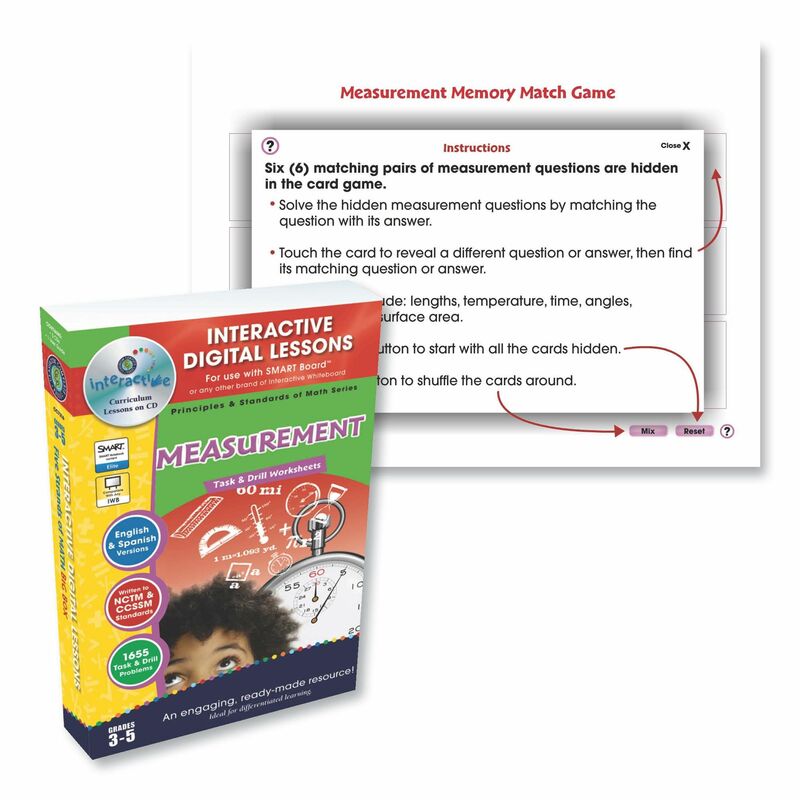 Test your memory and understanding of key measurement skills with a memory match game. Touch a card to reveal a different measurement question or answer, then find its matching question or answer. 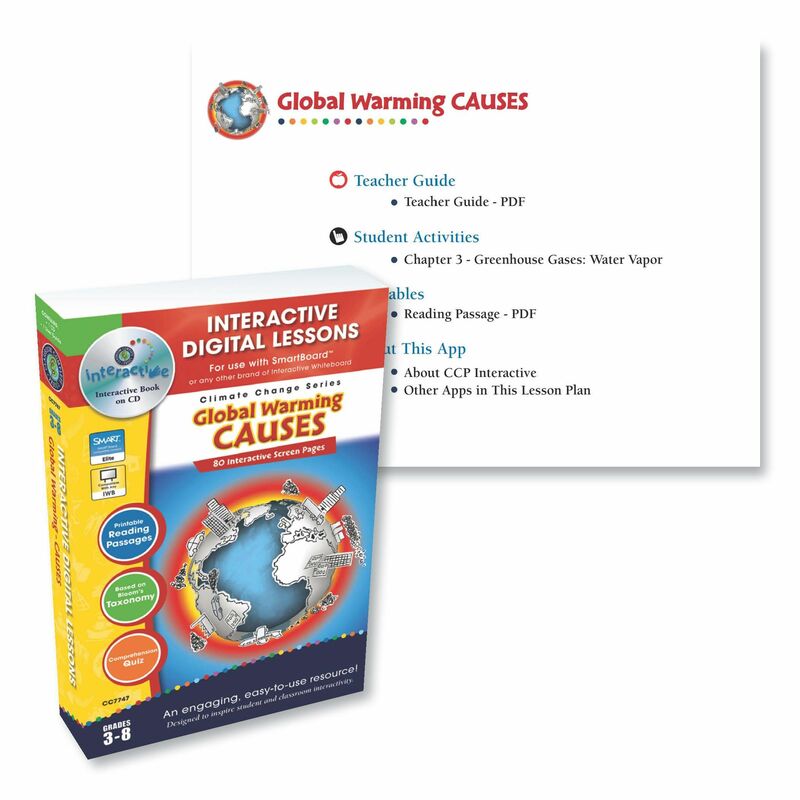 Complete an entire chapter on the greenhouse gas water vapor, with teacher guide, printables, pre-assessment questions, reading passage, comprehension questions, and game. Try out 3 full ready-made digital lesson plans FREE for 2 weeks with our NEW subscription-based platform.